What is the best feature of the Vcard? This VIP nightlife pass does not Expire! No longer do You have to calculate how many nights You will use a card to see if You will get your value back. With this pass, all the most popular nightclubs are included, You get in free as You walk past the line. The price of this Card is about the same as other cards but this one does not expire. Time after time, trip after trip to Las Vegas, You keep using it. Even if You use it for one trip it is worth the money. Night clubs, Day clubs, beach clubs, drink specials and more! This is the best deal in Las Vegas, bar none! Do not stand in line, that's never fun for Anyone. Standing in line can really ruin Your mojo when in Las Vegas. Everyone is partying like They should in Las Vegas, the last thing You want to do is completely ruin the fun standing in line. With the Vcard You go to the VIP lane, just like a celebrity. 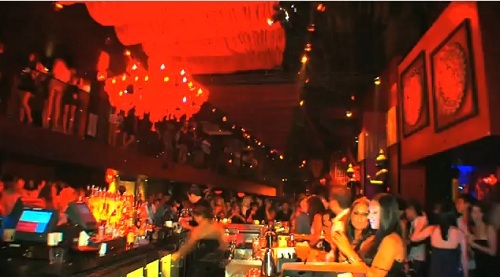 Unlike other good party Cities, Las Vegas Clubs are fairly easily accessible from one to the next. You can visit a lot of clubs in one day/night but NOT if You stand in line at each one. This Card is a one time purchase, come back again and again and You are still a VIP. 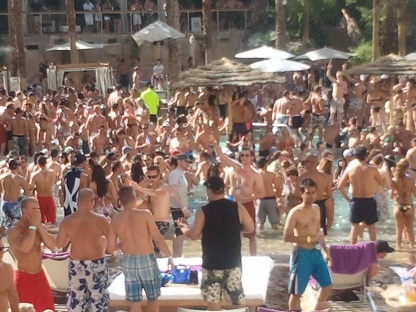 Rehab at the Hard Rock is one of the wildest party's in the world. Just this pool alone makes the Vcard worth the money. Rehab is every Sunday in season and cost 20 dollars to enter but that price will probably go up and up but You still have a Vcard, so You don't care.